Found 54 blog entries about Walla Walla Washington. 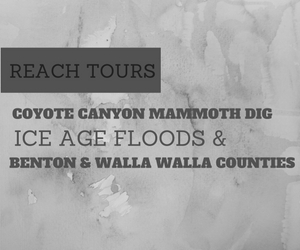 The Reach Tours will feature Coyote Canyon Mammoth Dig and Ice Age Floods and the Benton and Walla Walla Counties this coming August 20, 2016. The tour will run from 8:00 a.m. until 5:00 p.m. For more details, please visit the Reach Tours page at The Reach website. This Reach Tours edition will be led by Gary Kleinknecht who has exceptional expertise in Ice Age floods. He is the Education Director for the Coyote Canyon Mammoth Dig. His presence at the tour will absolutely make the participants well educated about the places to be visited. Having performed in various cities across America last year, Affiniti will grace the stage of the Gesa Power House Theatre for another spectacular presentation in Walla Walla Washington. The performance will take place on December 8, 2015 and will start at 7 p.m.
Emer Barry (Soprano), Mary McCague (Violin) and Aisling Ennis (Harp) are the members of Affiniti. These ladies create extraordinary music together. 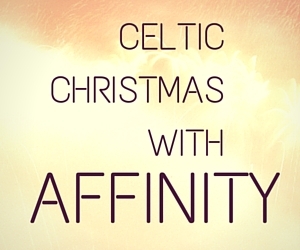 A beautiful blend of Classical and Rock with a celtic twist - that makes Affiniti not your ordinary band. The Celtic Performance is going to be an exciting evening that should not miss be missed! Ticket price ranges from $20 to $25. For ticket information, visit Affiniti Music. The Adventist Health Little Watt’s Children’s Series of Family Entertainment continues at the Gesa Power House Theatre with the return of The Great Kaplan on Thursday, November 19 at 6:30 in the evening. He returns to Walla Walla, Washington with an updated show, including new demonstrations of skill and comedy. The Great Kaplan has headlined in more than 20 countries and shared the stage with the renowned performers including David Spade, Harry Blackstone Jr. and the Smothers Brothers. Kaplan is a award winning performer. He won 1st place medal at the Canton Battle of Magicians, “People’s Choice” award at the International Brotherhood of Magicians Convention and the Mandrake d’Or in Paris. On Friday, November 7 there will be a gathering of select vendors for a very unique holiday sale at the JUNQUE Jingle Vintage and Holiday Market to be held at the Old School House from 9:00 in the morning until 5:00 in the afternoon. Vendors will be selling vintage items, holiday decors, unique JUNQUE items, architectural salvage, handmade, repurposed junk and vintage furniture. 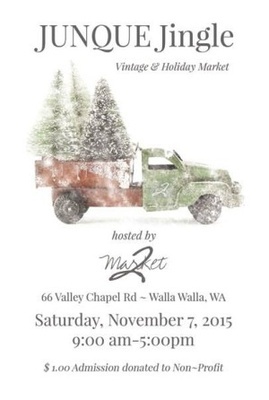 Vendors will share their wares in an intimate holiday setting. The Old School House is located at 66 Valley Chapel Road, Walla Walla, Washington. There will be a $1 admission and to be donated to Non-Profit Organizations. Parking is free. This event is organized by 2Market. The Walla Walla Symphony: Cabaret! Annual Fundraising Gala will be on Saturday, November 7 from 6:00 to 10:00 in the evening at the Whitman College - Reid Campus Center Ballroom located at 280 Boyer Avenue in Walla Walla, Washington. This year the Symphony's Annual Fundraising Gala is getting a makeover! Cabaret! is an exciting evening featuring a LIVE jazz orchestra, prohibition-inspired food and drinks, and live and silent auctions - all to raise money to support our free education programs! Come dressed in your roaring '20s finest and capture your memories with our on-site photo booth! Ticket price is $75, purchase online. For more information you may call 509-529-8020. 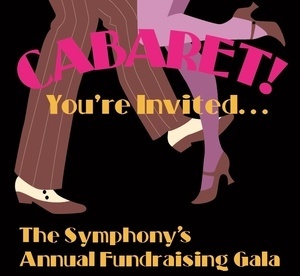 On Saturday, November 7 everybody is invited to come and watch the Walla Walla Symphony in their Annual Fundraising Gala night Cabaret Style to be held at the Whitman College – Reid Campus Center Ballroom in Walla Walla, Washington from 6:00 in the evening until 10:00 in the evening. This year’s fundraising gala night is a very exciting evening featuring a live jazz orchestra, prohibition inspired food and drinks and live silent auctions. The proceeds will be used to support our free education programs. Come and enjoy the evening with your roaring 20’s attire and capture your memories with on site photo booth. On Friday, October 30 the Indie folk-rock band Wildwood Park will be having a concert celebrating the release of their debut CD “ A Beauty in Her Day” at a special event at Walla Walla’s Gesa Power House Theatre at 7:30 in the evening. The event features San Francisco producer and pedal steel guitarist Bruce Kephan and other special musical guests. Wildwood Park who hails from Walla Walla, Washington. The band is composed of brothers and veteran song writers Aaron Burgees on guitar and Jesse Burgees on keyboards, Anna Okada Burgees on vocals and violin, Dov Friedman on drums and Nick Bader on bass. On Friday, October 23 watch “Deep Love: A Ghostly Rock Opera”, a heartwarming and heart-breaking story of love, loss and indecision where sweethearts become adversaries in pursuit of what they cannot live without. Deep love is a 1 hour and 45 minutes musical production that will surely delight all ages. Deep Love is a modern breed of classical opera. The story and music was written by Ryan Hayes and Garret Sherwood. It features Jon Peter Lewis from American Idol, Ryan Hayes from the Voice and Midas Whale member and Amy Whitcomb from the Voice and Sing-Off. On Thursday, October 15 Foundry Vineyard is inviting all of you to the opening reception of their next art exhibition featuring artwork of renowned Chinese contemporary artist Ai Weiwei. Ai Weiwei is an activist, architect, curator and China’s most famous artist. Ai’s famous works are installations, often tending towards the conceptual sparkling dialogue between the contemporary world and traditional Chinese modes of thought and production. Ai Weiwei ‘s father Ai Qing was a Chinese poet who was denounced during the rightist movement. 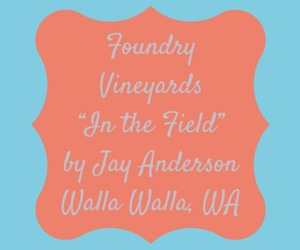 Foundry Vineyard is located at 1111 Abadie Street Walla Walla, Washington. 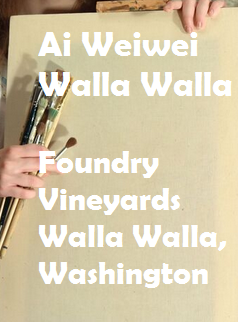 “Ai Weiwei Walla Walla” gallery hours are Thursday – Sunday, 11 am – 5pm. Admission is free!